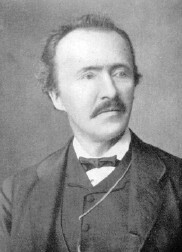 Heinrich Schliemann was born on January 6th, 1822 as son of a Protestant minister in Neubukow / Mecklenburg (Germany). He described his life in the autobiography »Heinrich Schliemann's Selbstbiographie« (Autobiography of Heinrich Schliemann). On December 26th, 1890 he died after an ear surgery in Naples. 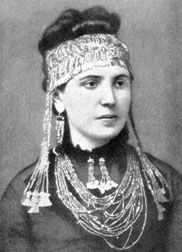 In 1870 he married the 18 year old Greek girl Sophia Engastromenos. On the photo above she wears the famous gold jewelry from the so-called »Treasure of Priam«, which Heinrich Schliemann had discovered in Troy. The couple had two children, Andromache (1871-1962) and Agamemnon (1878-1954). 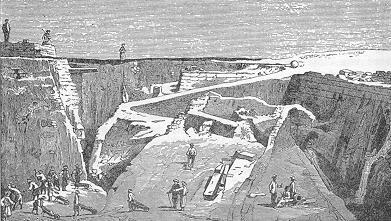 Excavation of the Athena temple in Troy. 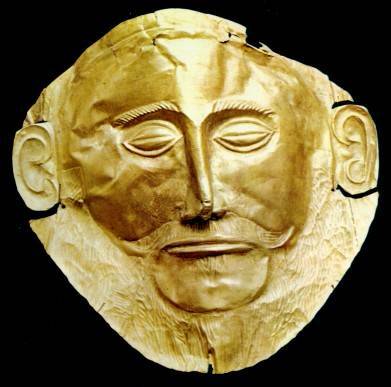 Already as little boy Heinrich Schliemann was obsessed by the idea that Homer had given an account of true history in his great epic poems - the Iliad and the Odyssey, and that Troy had really existed. He did all to find this famous place. And he achieved one of the greatest sensations of archaeology: The discovery of Troy and Mycenae. Read an excerpt (in German language) from his autobiography, how as child he made up his mind to discover Troy. But not only the discovery of Troy we owe to his good archaeological nose and his indefatigable efforts, but he also explored Mycenae and Tiryns and made tremendous finds there. At all his undertakings he was supported by his wife Sophie, a Greek by birth. Heinrich Schliemann has been and is still reproached by archaeologists that he had destroyed many things of great value during his tremendous excavations. But just his boundless inquiring mind was the cause for these great discoveries! Only because of his complete dedication for this goal and by spending a lot of his own money he could achieve such great archaeological sensations. Also the backward time and the underdeveloped methods of archaeological research must be taken into consideration. So it is very unfair to reproach Heinrich Schliemann with many failings because at projects of those dimensions - he employed up to 200 workers at the same time - mistakes are inevitable. Although he had not studied archaeology, he achieved the greatest discovery in the history of archaeology, and because of this we have to pay tribute to him! Heinrich Schliemann is very famous for the discovery of Troy, Mycenae and Tiryns. He is a celebrated but also controversial personality of the 19th century. In particular he has been attacked for his digging methods; on the part of archaeology he is accused of having destroyed much more than preserved. Actually, it is a matter of fact that these sensational archaeological discoveries are due to his unshakable belief in the words of Homer, to his readiness to assume a risk and above all to his strong will. The autobiography had been completed after his death by his Greek wife Sophie. In this book many pictures have been added to the original text. On the one hand there are drawings which had been made by Schliemann himself, on the other there are pictures of some outstanding finds from Troy, Mycenae and Tiryns. Heinrich Schliemann lived the »American dream«. Born as the son of a poor German preacher he succeeded in becoming a very wealthy man. He realized the dream of his youth and made one of the greatest sensations of archaeology: The discovery of Troy and Mycenae. In a very absorbing way Heinrich Schliemann describes his sensational discoveries in Troy. His firm trust in Homer was the foundation for his discovery of Troy. Because of the descriptions in the Iliad and the Odyssey Schliemann was convinced that the hill Hissarlik must be identical with Troy - and he was right! The Iliad gives an account of the siege of Troy in its tenth year. The main subject is Achilles' withdrawal from the fighting and his return to kill the Trojan hero Hector. This great epic poem describes the adventures of Odysseus during his return from the Trojan War and the drama of his homecoming.